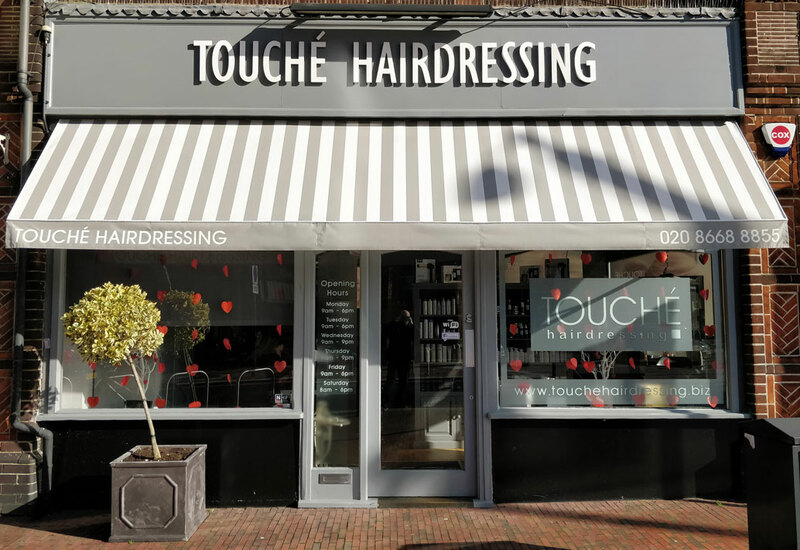 Touché Hairdressing is one of the most recognisable brands in the area, but particularly Purley as the salon has been there since 1975 when brothers, Michael and Robert Chapman, first opened the doors. They created a fun place to work and a new vibrant, experience of a trendy London hairdressers, think Vidal Sassoon, for the people of Surrey! There has been a Touché Hairdressing Salon in Caterham since 1981 – originally on Godstone Road and now opposite Waitrose and Caterham Railway Station. Most of the original staff keep in touch and always reminisce of the ‘Good Old Days’ working and learning from Michael and Robert. The vibrancy and passion still exists in the Salons and passionate hairdressers are ensuring the Touché Hairdressing brand continues to follow the core principals of our business built on so many years of experience. Very pleasant girl. Always cuts my hair well, they way I like it. Can't fault Victoria's work. Did what I asked, was focused, good on the aftercare. Lovely experience always enjoy it! Michelle is always really friendly and listens well to what you want. Have been going to Touche for years. Very professionally run and they are constantly investing in the staff and premises. Love that they support the next generation working with local colleges and training Apprentices. Natalie is fabulous and I get many compliments on my haircut so all credit to her! Wouldn't hesitate to recommend. Today I had a colour and blow dry. The colour is very natural as Laura has kept some of the natural sun streaks showing though. The blow dry shows really nice movement at the sides and the length makes my fine hair look fuller. Bonuses were, a nice catch up and 40% off through my loyalty points! Always looked after well, and as usual a happy relaxing experience. Newly styled, newly coloured, beautiful Hair. Laura never disappoints. Brilliant highlights that look so natural - Laura is simply the best. My six-weekly treat for hair and soul with Celine. Lovely experience, always professional and I leave 100% satisfied. As always an excellent, relaxing experience. Love my colour and cut - perfect. Always looks after me. Never forgets I have a bad neck so treats me with care.